GALION — The much-awaited and talked about Portland Way North road project gets underway Monday in Galion. The contractor is Underground Utilities. The project will begin immediately north of the Heise Park Lane intersection and continue north 900 feet, to immediately before the Carter Drive intersection. A sewer line is being replaced and the road will be reconstructed. The project is expected to cost about $43,000. The west lane of Portland Way North will close on the week of June 26. The road will only be open to northbound traffic during the project. 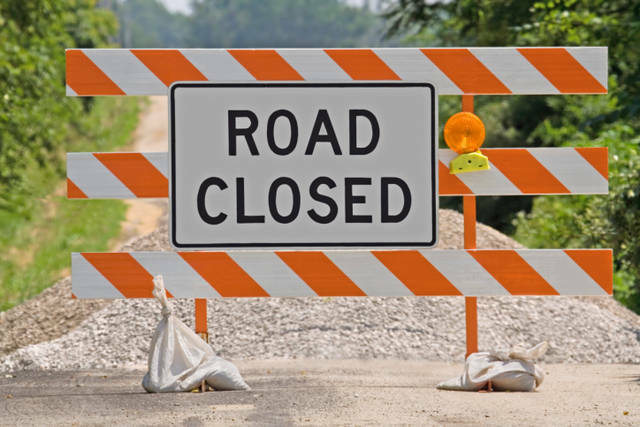 Local southbound traffic arebeing asked to use the state-approved local detour route, which is: Turn right onto Brandt Road, turn left onto Biddle Road, turn left onto Bucyrus Road (Ohio 19). Commercial trucks will use a state detour route. The Timberlane subdivision will remain accessible via Portland Way North. This will be the only access point for residents. Cedargate Apartments will be accessible via the north drive only. The main drive to the Galion City Schools campus will be shut down during the project. Drivers will need to use the Hesby Drive entrance. Ralphie’s and Alger Arms Apartments will be accessible via Heise Park Lane. August 10-15: Final striping and cleanup. 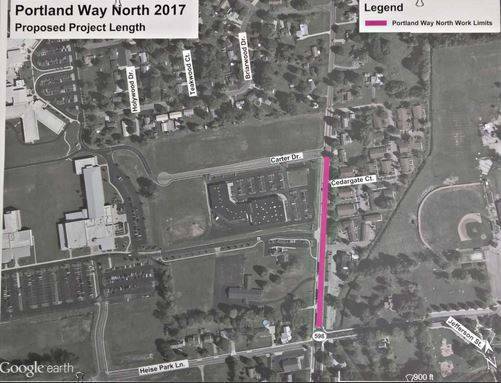 A map, courtesy of the City of Galion, shows the layout of the Portland Way North construction project that begins next week and will disrupt traffic throughout the summer. https://www.galioninquirer.com/wp-content/uploads/sites/38/2017/06/web1_snip-pwn.jpgA map, courtesy of the City of Galion, shows the layout of the Portland Way North construction project that begins next week and will disrupt traffic throughout the summer.